- With Aspida: Some of us are used to smoke many bowls per day and inhale. Some others come from cigarette smoking and they are nervous in puffing. Or they are just new to pipe smoking. 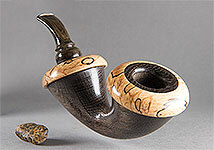 If you belong in one of these categories I would suggest to choose a pipe with Aspida. 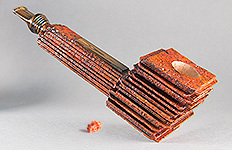 It grabs more smoke-remains and generally speaking it's "the easy-safe smoker". - With Filter: A normal filter pipe suits to someone that smokes 1-2 bowls per a day and doesn't inhale much. - Without Filter: For those that smoke just one or less bowls per day without inhaling, maybe it's not so important to use a filter. 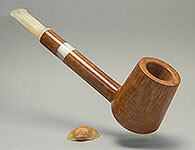 - Ladies series consist of elegant pipes to suit smaller hands. They don't use any filter. - ALPHA line pipes: All kinds (Aspida-Filter-No Filter). 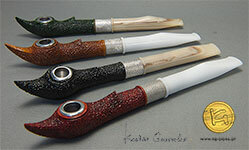 Beautiful smoking tools at an affordable price. 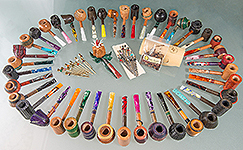 - Medwakh: These are tiny pipes for smoking a special tobacco called "Dokha".